Leslie Hindman Auctioneers, one of the nation’s foremost fine art auction houses, has been providing exceptional service and achieving record prices since 1982. With more salerooms in the United States than any other auction house, Leslie Hindman Auctioneers conducts over 60 auctions annually in categories such as fine jewelry and timepieces, contemporary art, 20th century design, rare books, furniture, decorative arts and more. The firm has salerooms and business offices in Chicago, Atlanta, Denver, Milwaukee, Naples, Palm Beach and Saint Louis but serves a global client base through its position at the forefront of technology. 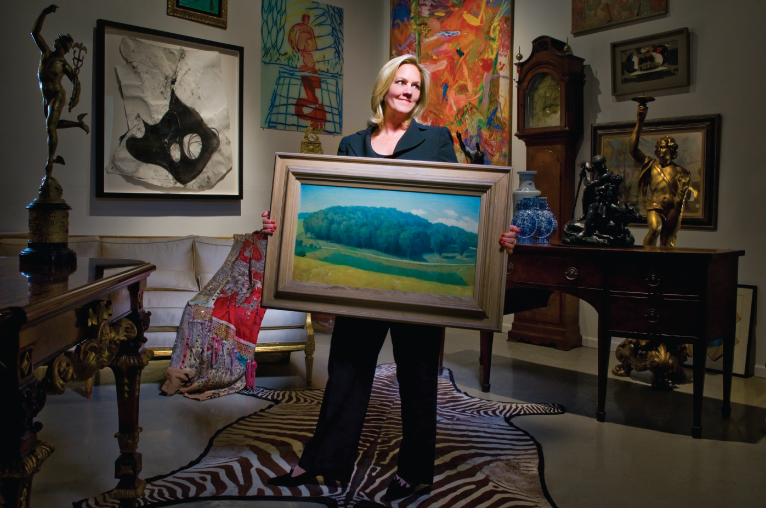 In 1982, Leslie Hindman founded her eponymous auction house in Chicago, Illinois, and within a few years it grew to be the largest auction house in the Midwest and one of largest in the country. The company has conducted many significant and highly publicized auctions, including sales of memorabilia from the historic Comiskey Park and Chicago Stadium, property from the Caribou Ranch and Recording Studio, and the personal property from such renowned estates as Arthur Rubloff, Mrs. Robert R. McCormick, the Potter Palmer families, and Dole heiress Elizabeth F. Cheney.The firm is also a founding partner of Bidsquare, a live auction platform formed by six leading auction houses, and owns a proprietary online bidding platform, LHLive.